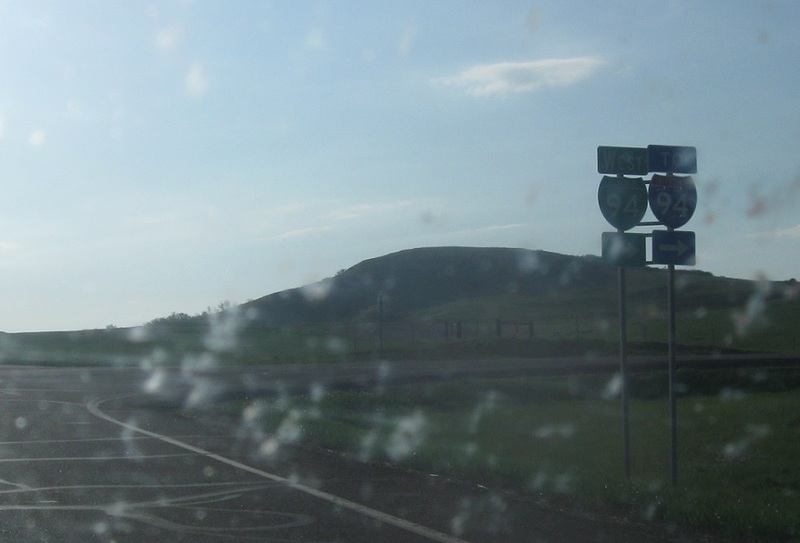 Reassurance shield after the 6 junction as we head out of Mandan. 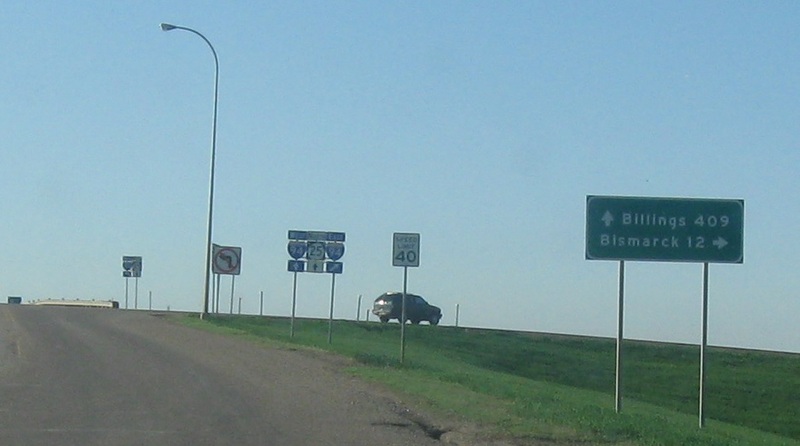 A couple miles west of town, we’ll turn right to head off old US-10 and up to the interstate. 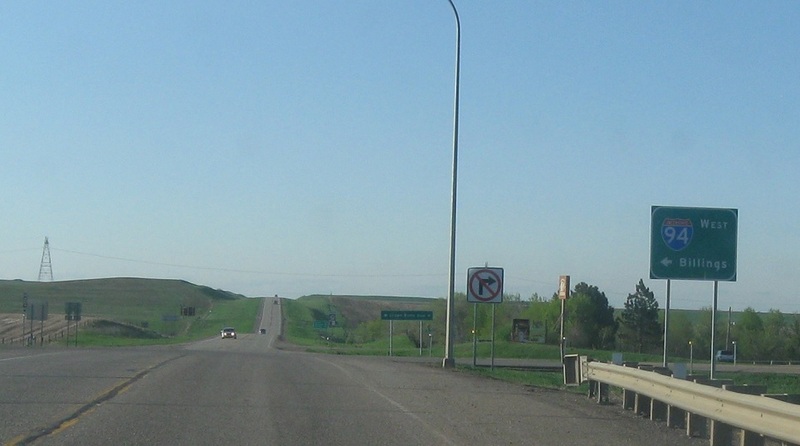 Turn right for 94 Business to I-94. Reassurance shield after the turn as we head north to the interstate. 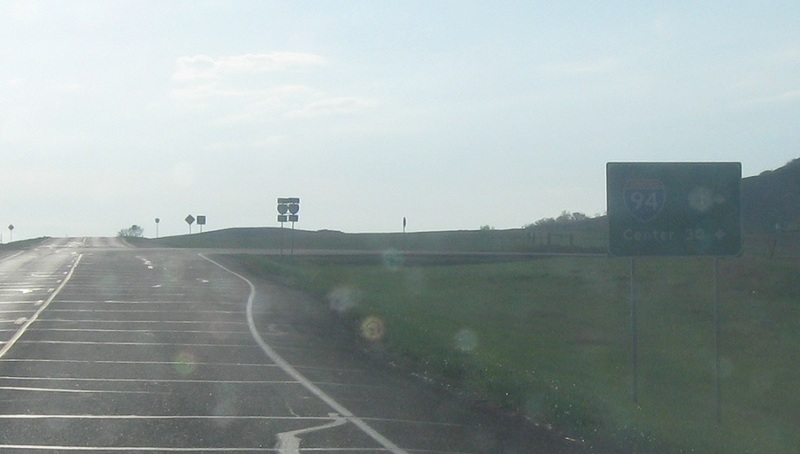 A mile later, we’ll approach I-94 and ND-25. 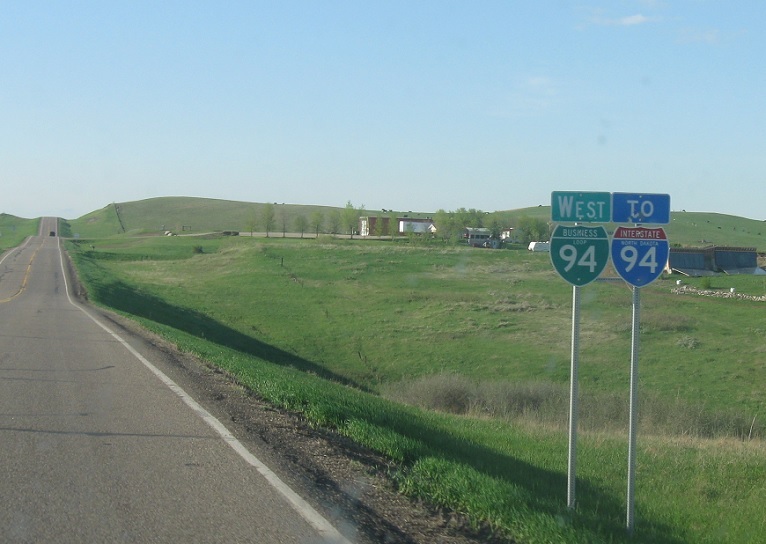 Follow 94 east to Bismarck and 94 west to Billings, Montana. Turn right for I-94 east. Stay straight for 94 west and 25 north. 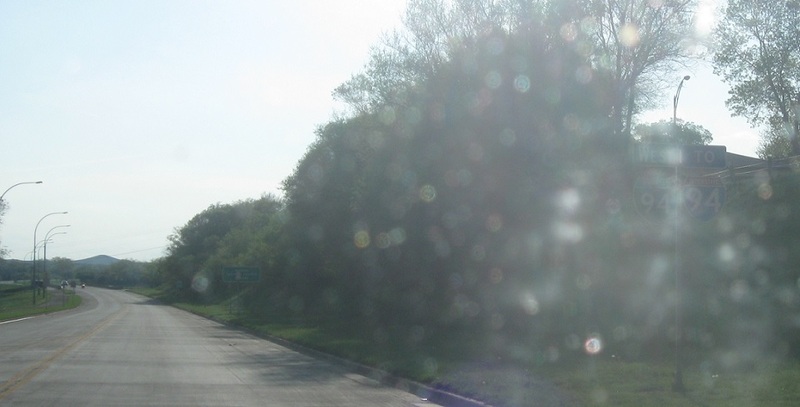 After we cross the overpass, turn left for I-94 west. 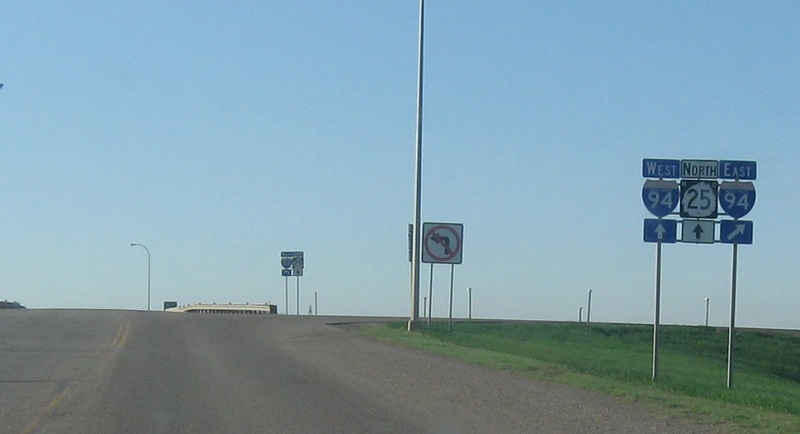 This roadway transitions to ND-25, which heads up to Center. 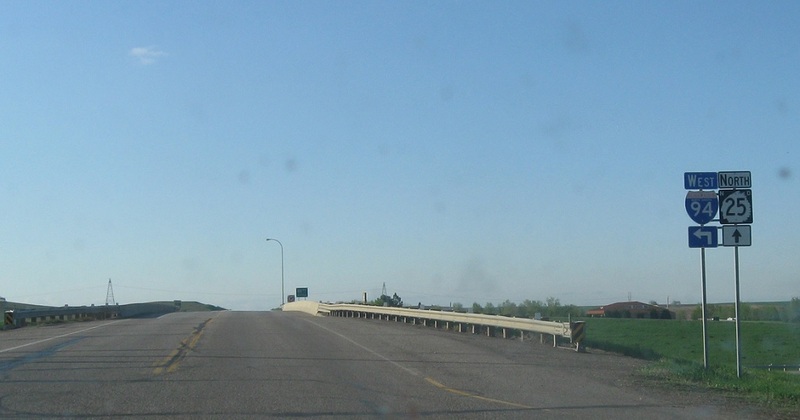 Turn left for 94 west towards Billings. I-94 Business ends.